Glass panel, 15 by 20 inches. Frame, 19 by 24 inches. 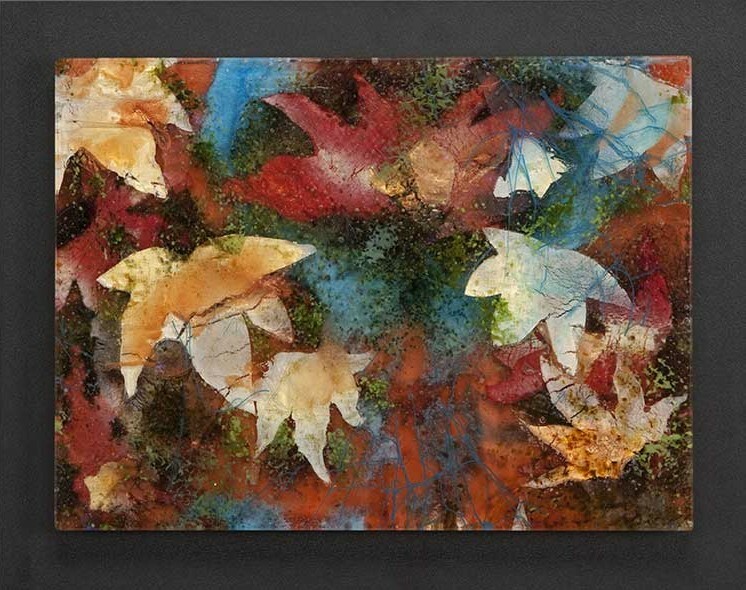 Autumn Riot was one of three pieces sent to the United States Embassy in Ankara, Turkey in 2011.